Andri comes from a family of seafarers, his father was an instructor in a maritime academy in Semarang and two brothers who are now senior officers. Equipped with a Bachelors Degree (S1) in 1994, Andri embarked into the marine industry working for shipping agents and learned the ropes for acquiring various permits in ports and harbors. 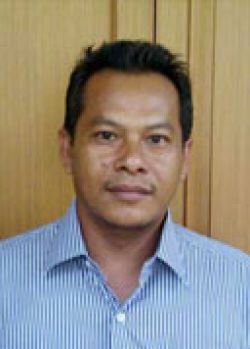 He went on to work for port agencies and managed cargo handling, loading and discharge in remote ports of Indonesia. In 1998 he joined Sillo (SBN) and discovered that his easy manner in communicating with ships’ crew was a strength that proved to be an advantage for his career and the company. Andri now holds a key position as Operations Manager overseeing the retention of the majority of our crew working on AHTS in the Asia Pacific region, many of whom have been with us for over 10 years.